Put your stamp on this solid four-bedroom home situated in a great community of Kelsey Glen. 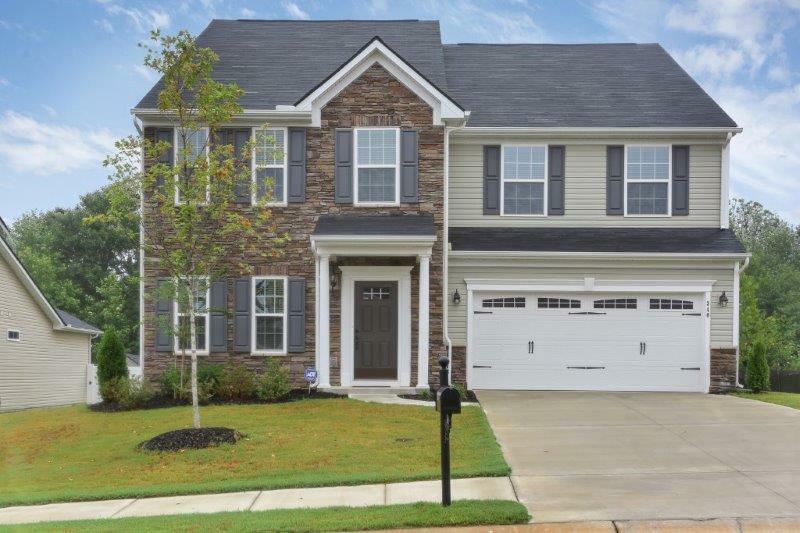 This huge four-bedroom home is ready and waiting to welcome your growing family in a stunning yet quiet newer community in Simpsonville just 1.5 miles off Woodruff Road, close to great shopping, and restaurants. Hardwood floors span throughout the kitchen. Two story foyer with expansive molding. Cozy family room designed to provide a relaxing ambiance. Beautiful kitchen with a large center island, granite countertops, gas cooktop, and double wall ovens. Inviting morning room, dining room and study make up the main living area. Open loft area on the second level. Enormous master bedroom on the second level with a full bath featuring double sink, separate shower, and Jacuzzi tub. The rest of the bedrooms and another full bath are also on the second level. 2 car garage that also offers space for more storage. As you enter this great home in Kelsey Glen, beautiful hardwood floors greet you at the door and lead past the dining room to the gourmet kitchen. The kitchen is open to the family room and well equipped, including cooktop, oven, dishwasher, microwave. There’s plenty of natural light that flood in through the windows in the family room with carpeted flooring and cozy fireplace. Take the staircase onto the second level to find an open loft area to use as a sitting room or a library, the choice is yours. The large master bedroom has trey ceiling, walk in closet, and master bath featuring a separate shower, Jacuzzi tub, and dual sink. A morning room downstairs adds more space to converge. The breakfast area overlooks the back yard and has easy access to the patio.